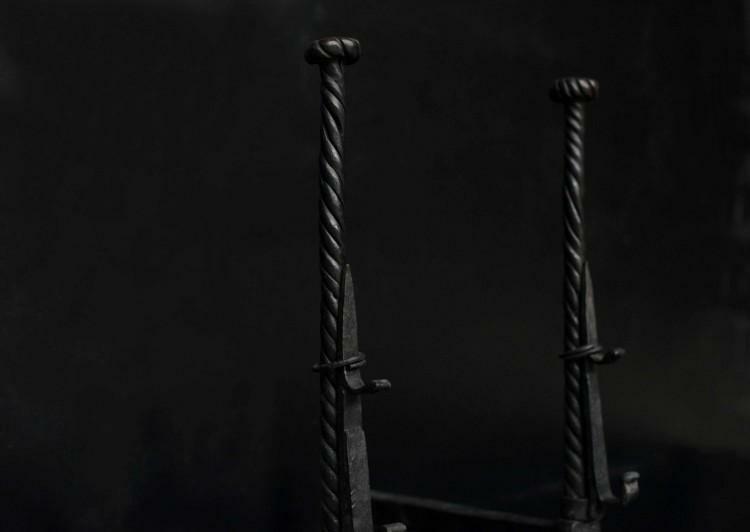 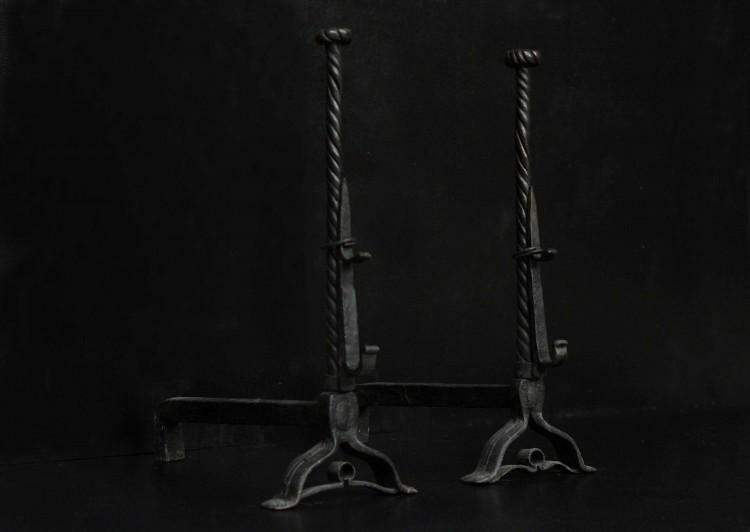 A pair of wrought iron firedogs, barley twists upright and tops, splayed and scrolled feet. 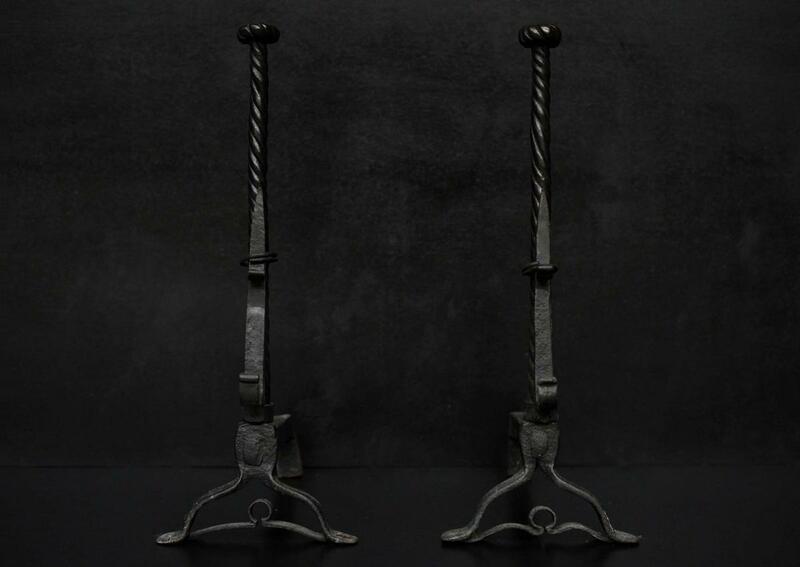 English, 19th century. Could be polished if required.